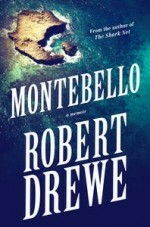 Montebello continues where Robert Drewe's much-loved memoir The Shark Net left off, taking us into his mature years. 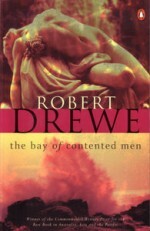 In the aftermath of events, both man-made and natural, that have left a permanent mark on the landscape and psyche of Western Australia – the British nuclear tests in the Montebello Islands, the mining boom, and shark attacks along the coast – Drewe examines how comfortable and familiar terrain can quickly become a site of danger, and how regeneration and renewal can emerge from chaos and loss. With humility, wit and a clear-eyed view of himself, he intertwines these stories with the events of his own life. His passion for islands – which began with Rottnest Island in his youth and continues to this day – frames the narrative; in the near-solitude of these remote places, he is free to reflect. This is a moving story of what it means to see and survive destruction, to love and to grow old. 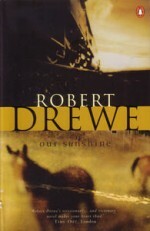 Aged six, Robert Drewe moved with his family from Melbourne to Perth, the world's most isolated city – and proud of it. This sun-baked coast was innocently proud, too, of its tranquillity and friendliness.Then a man he knew murdered a boy he also knew. The murderer randomly killed eight strangers – variously shooting, strangling, stabbing, bludgeoning and hacking his victims and running them down with cars – an innocent Perth was changed forever. The result is The Shark Net, a vibrant and haunting memoir that reaches beyond the dark recesses of murder and chaos to encompass their ordinary suburban backdrop. 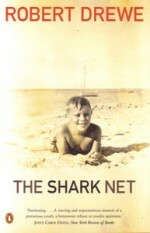 The Shark Net was adapted for ABC and BBC television. Some relevant facts about Grace Malloy. 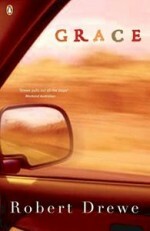 Apart from being named after a 100 000-year-old skeleton, she was twenty-nine and for much of the past three years she'd been hiding from an erotomaniac.Physically and emotionally besieged, Grace attempts to claw back from her personal territory by abandoning her inner-city life as a film reviewer and fleeing to the remoteness of the Kimberley – where existence and territory have altogether wider implications. Lying low, working in a wildlife park, she slowly reclaims her sanity. Her only links to the outside world are her father and her stalker. Our Sunshine was made into the international film Ned Kelly, starring Heath Ledger, Orlando Bloom, Naomi Watts, Geoffrey Rush and Rachel Griffiths. 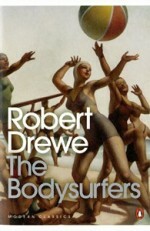 The Bodysurfers was adapted for ABC and BBC television. In the warm alkaline waters of the public bath a headstrong young engineer accidentally collides with a beautiful actress. From this innocent collision of flesh begins a passion that takes them from the Wiltshire Downs to the most elemental choices of life and death in the Australian desert. Their intense romance is but part of the daring story that unfolds. 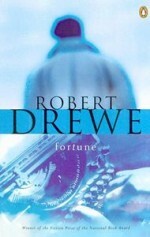 Mingling history, myth and technology with a modern cinematic and poetic imagination, Robert Drewe presents a fable of European ambitions in an alien landscape, and a magnificently sustained metaphor of water as the life-and-death force. 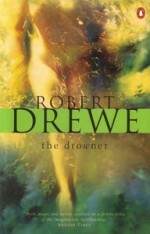 The Drowner is currently being adapted for film and is now in pre-production stage. The average Australian has conducted a lifelong love affair with the beach and the ocean shores, bays, dunes, lagoons and rivers of the coast. Until now, however, no one has attempted to match the ancient sensual and artistic preoccupation with the sea to the intuitive appreciation of the coast felt by modern beachgoers. 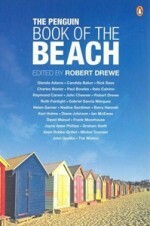 In this illustrious international selection, Robert Drewe has drawn together twenty-five of the finest contemporary writers whose stories represent the most stimulating, startling, humorous and deeply moving writing about the beach. Paris, Los Angeles, Sydney, Tokyo, New York... the city is synonymous with excitement, energy, modernity and glamour. Yet it can also be a place of vice, fear and alienation. 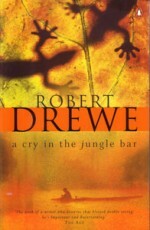 The short stories in this outstanding international collection, selected by Robert Drewe, are as diverse and exhilarating as the cities they describe. From the dazzling neons of Tokyo to the literati of London, from the ghettoes of New York to the market stalls of Bombay, urban life is here in all its variety. These daring, darkly humorous stories reflect both the dangers and delights of life in the metropolis. "It occurs to me that it might be cathartic to write a dog-walker's journal: the true, unsentimental ruminations of a dog-walker with things on his mind more important than dogs. A dog-walker who, frankly, prefers humans. A dog-walker who decides to make the most of this begrudged walk to mull over writing ideas and dilemmas. A prickly, grumpy, even sometimes hungover dog-walker." 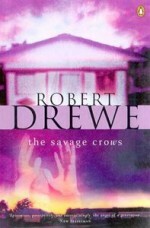 Robert Drewe. 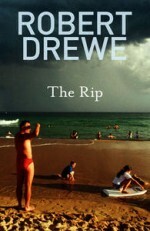 In this lavishly produced book the images of award winning photographer Francis Andrijich, the essay from Robert Drewe, author of the best-selling memoir The Shark Net and the impressionistic writing of Jeff Bell combine to create a stunning homage to the uniqueness of the city of Perth. From the broad golden beaches and the brilliant sunsets over the sea to the colourful yachts and silver waters of the Swan River; from the wonderful panoramas of Kings Park to the majestic jarrah forests and wildflowers of the Darling Scarp; from the vibrant cafe strips of Fremantle and Northbridge to the passionate football crowds at Subiaco; from the beautiful performances of the Western Australian Ballet to the magical theatre of Barking Gecko, Frances's images capture the essence that makes Perth such a wonderful city to visit and to live in.